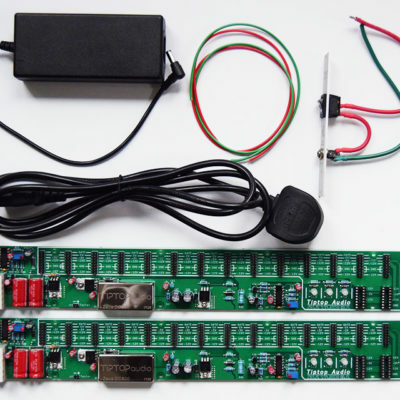 The Doepfer A-100 DIY kit #1 provides a low-cost, self-assembly power supply. It is a practical, low-cost solution to get you up and running with your modular setup. 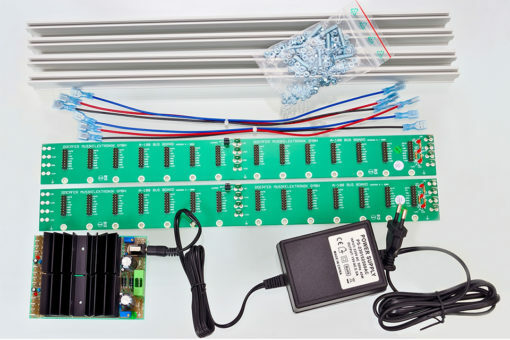 This is ideal for someone just getting started in the eurorack world. 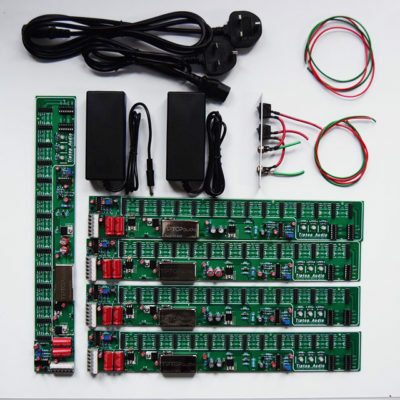 We can supply this as DIY kit for your own installation as there are no dangerous voltages accessible from the transformer onwards. We can also fit this Doepfer system to our own SynthRacks cases for you as a good economic power solution. We would suggest it is suitable for a 6u x 84HP or 104HP case. 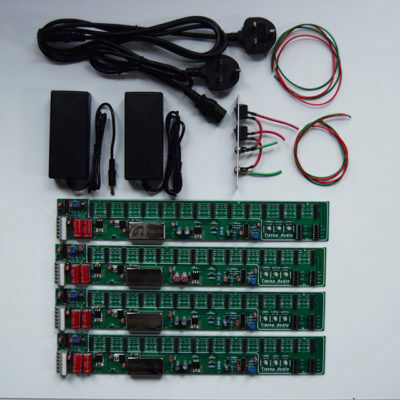 You will need to check the power draw from your modules to be sure. Please ask for further details. • External transformer with on/off switch. Should you require a +5v supply you can add in, as an optional extra the A-100AD5, a 5v adaptor which provides +5V@100 mA to the bus board it is plugged into. If the A-100 AD5 is used the power for this is drawn from the +12V rail. Please note the external transformer works at 230V and supplies the15v AC output required to operate the system (NOT DC). The external transformer has a European plug, UK purchasers who buy this system from SynthRacks will be supplied with a suitable adaptor. We now also have in stock a USA version.